Several new volunteer roles have been created at St John Ambulance Western Australia to give more people the opportunity to give something back to the community. Volunteers have always been integral to St John Ambulance with more than 4,500 people already committed to roles as event medical officers and country ambulance officers. Now, St John is offering a new opportunity to assist in the care of non-emergency patients within the metro area.The four new positions are: Community Attendant, Community Companion, Dual Transfer Officer and Hospital Transit Officer. 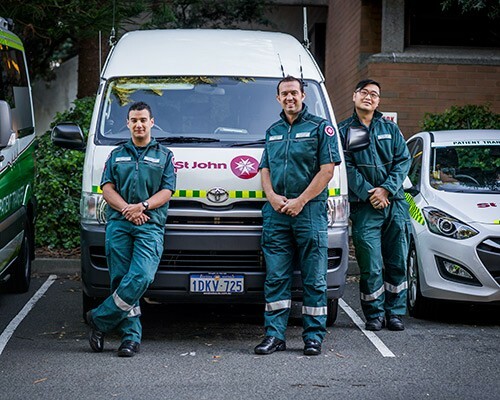 St John Volunteer Member Services General Manager Kate Fina said the new volunteer roles will enhance the already high-quality of care offered by St John, particularly in the area of non-emergency patient transport. “This is a wonderful opportunity for St John to engage with more members of the community,” Ms Fina said. “The new positions are less physically demanding than some of our other volunteer roles, and require a commitment of as little as four-eight hours a week and no weekends. The priority for these roles is to provide companionship and in-transit care to low acuity patients, rather than the clinical know-how. Ms Fina said the program was also designed to help elderly people living within the community. “The new volunteer service allows us to provide an accessible and affordable transport service for the community by engaging the support of trained volunteers,” she said. Ms Fina said St John was committed to quality patient care and to ensuring that each person feels comfortable, safe and assured throughout their journey. She said all new volunteers would receive high level St John training to equip them with skills and confidence.In addition to advanced first aid training and a Level One St John Ambulance qualification, volunteers will have the opportunity to advance to a Certificate IV in Health Care (Ambulance). For more information, email volunteermemberservices@stjohnambulance.com.au, call 1800 069 393 or visit www.stjohnchangelives.com.au.